Is there any paperwork or document for the mechanical systems of 85 Kingston Rd E, Ajax, Ontario? I need more information about the property at 85 Kingston Rd E, Ajax, Ontario. How ist the neighborhood, location and nearby amenities for 85 Kingston Rd E, Ajax, Ontario? I have questions about the roof, foundation, insulations and mechanical issues of 85 Kingston Rd E, Ajax, Ontario? I need more information about property details. What's wrong with this house? Is this a short sale? Is there any maintenance for 85 Kingston Rd E, Ajax, Ontario? What is this property worth in today's market? What are "closing costs", and how much? What steps should I take when looking for a home loan? What price home can I afford? Is my credit good enough to buy this house? What are the best mortgage options for me? How flexible is the seller on the asking price? How low can I consider offering for 85 Kingston Rd E, Ajax, Ontario? 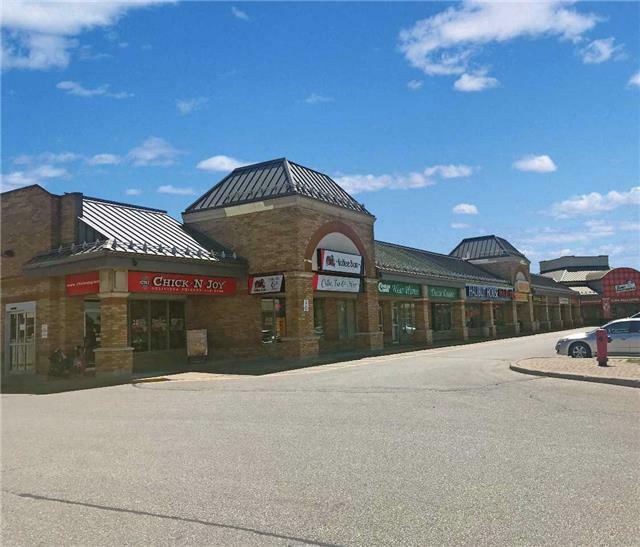 Prime Retail Location On Kingston Road Across From Riocan Durham Centre - High Traffic Area - Good Signage - Easy Access To Hwy 401 Via Salem Road - Many Amenities On Site - Existing Tenants Include: Il Fornellos, Applebees, Boston Pizza, Petro Canada, Beer Store, Mcdonalds, Applebees, Smokes Poutinerie, Chicken Joy, Benjamin Moore, Scholars Choice, Kumon, Hair Salon, Optical, Dry Cleaners, Pet Store, Health Food Store, Dentist, Chiropractor & Pharmacy. Shadow Tenants Include: Costco, Canadian Tire, Home Depot, Walmart, Cineplex, Lcbo & Tim Hortons.